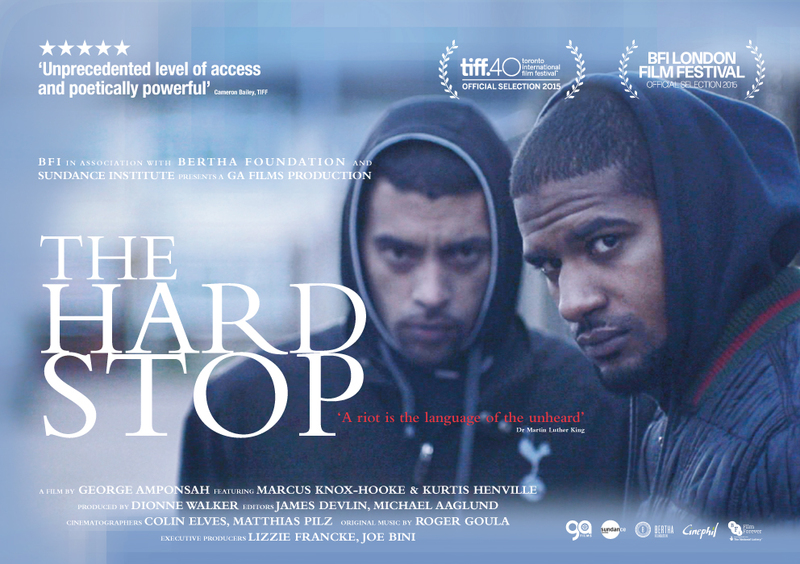 The Hard Stop is an intimate documentary revealing the story, away from all press coverage, of Mark Duggan’s friends and family following his death. He was shot and killed in a ‘Hard Stop’ police procedure in 2011, sparking the most violent riots in British history. For 28 months, director George Amponsah (The Fighting Spirit) filmed around Broadwater Farm in Tottenham, where Duggan grew up, capturing his family’s distress and focusing on two of his best friends, Marcus Knox and Kurtis Henville. We follow the men closely as they attempt to get on with their lives, look for a job, talk about the discrimination they experience on a daily basis and the impact Duggan’s death has had on the community. Duggan is present throughout, in peoples’ testimonies and news broadcasts. What emerges is a profoundly humane, thought-provoking and topical testament, which gives a voice to people who are rarely heard.